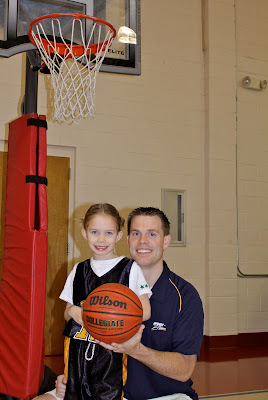 Sticking with the basketball theme...Kylee finished her first season at the end of February. 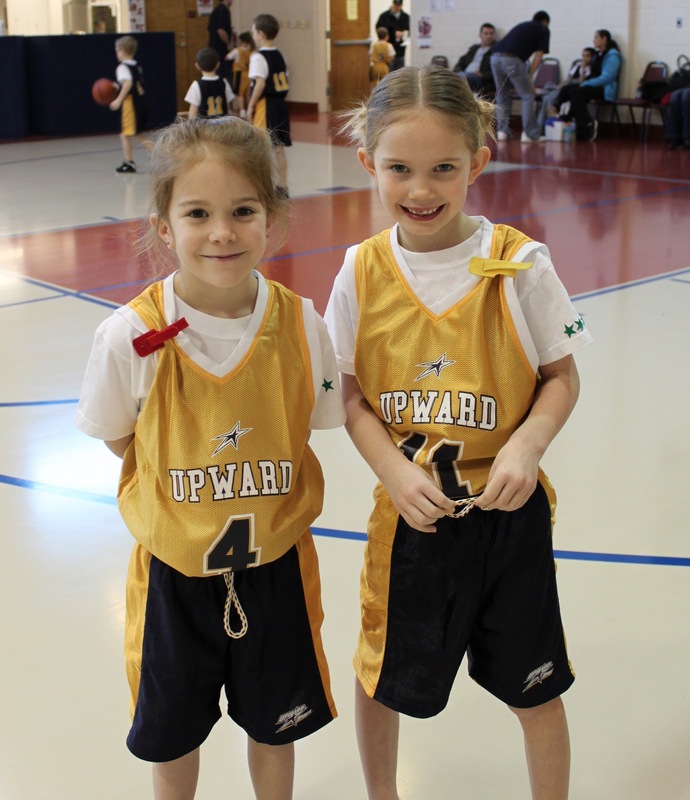 Skylar was delighted she was willing to give it a try as long as he was her coach and we got a girl from her class on her same team. 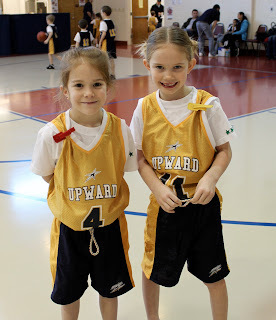 Well, Skylar worked really hard learning about the league, signed up to teach a bunch of Kindergarten and first graders and accomplished getting another girl from Ky's class on her team who in fact taught us about the league. It definitely became a family event as Lex and I often tagged along to Wednesday night practices and got excited for the Saturday morning games. 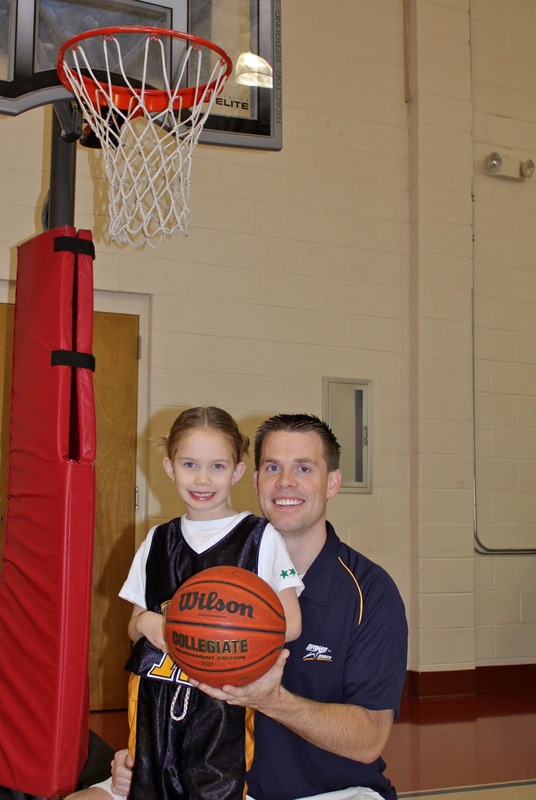 I enjoyed being Kylee's own personal coach at times and even walking her through step by step on making a basket during a game. The most important thing of coarse is that she had a great time and was always excited to go. She had a desire to learn but boy we wish we could have given her a shot of aggression. 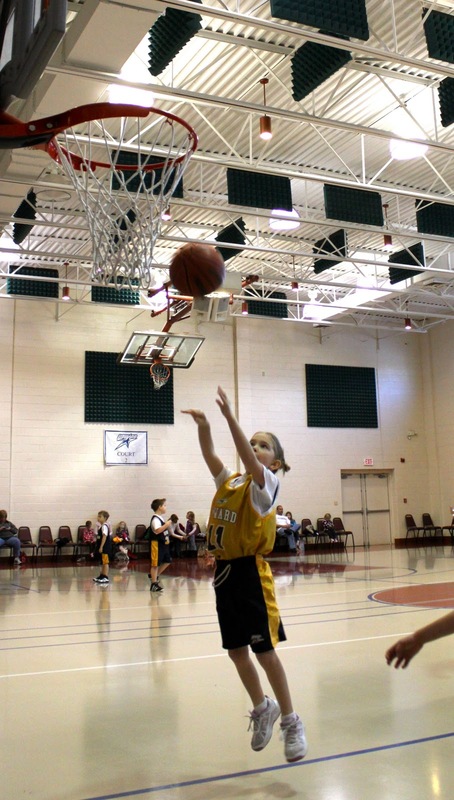 On the flip side we loved watching her progress and even learn how to take her position on the low block leading to a few baskets. She was darling as she would look to Sky and I for our approval after everything she did. We had a great group of kids and Ky loved socializing with all...even the boys!!!!! Oh my I couldn't believe it. Do I have a flirt on my hands already? "Mom, is the buzzer coming soon?" Lexi often looked like this on game day. My over sensitive little girl couldn't stand the buzzer but we got the routine down pretty good and she would always walk around with her hood on as well. She was the teams sidekick and loved being involved where possible.